Are you currently running a ecommerce website? Is it Secure? Like 256-Bit Secure? The truth is, if you bought an SSL certificate last year, its most likely a SHA-1 version, and will be depreciated/made redundant… sooner than you think! IT Jockies has partnered with the “Big 6” in SSL Certificates. With names like Comodo, GeoTrust, Symantec, Thawte, RapidSSL, GoGetSSL and UKNames.. and over 100 different SSL Solutions.. You cant go wrong! Starting at $39.00 for the entry-level GGSSL Domain SSL, don’t be fooled These SSL Certificates are all industry compliant with the SHA-256 cypher. 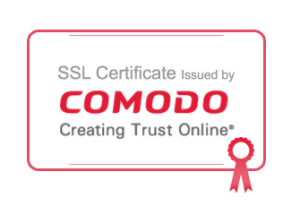 I have to say the Comodo PositiveSSL for just $49.00 is by far the best in class SSL certificate. Wildcard SSL certificates secures your website URL and an unlimited number of its subdomains. For example, a single Wildcard certificate can secure www.coolexample.com, blog.coolexample.com, and store.coolexample.com. This is particularly handy if you have sub-domains requiring security, for example, an ecommerce website that also uses CDN. Extended Validation Certificates are unparalleled in Trust and Security. Extended Validation Certificates, are not approved via email. Rather, the business applying for this, needs to prove with Business Documentation, that they are legit.